Last week, renders of Samsung's new Wireless Charger Duo leaked. The device (EP-N6100) will reportedly be able to wirelessly replenish the battery on a Samsung Galaxy Note 9 and a Samsung Galaxy Watch at the same time. Or, you can simultaneously charge a pair of compatible handsets. This model is expected to cost 75 EUR, which might result in a $75 price tag in the states. 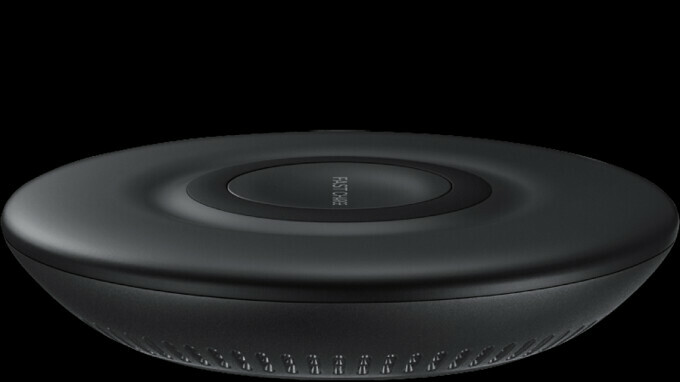 This morning, tipster Roland Quandt tweeted out renders of a second Wireless Charger Duo expected to be released by Samsung. This model (EP-P3100) is smaller and will apparently be available in Black and White. U.S. pricing might end up in the range of $45-50 USD. This more compact Wireless Charger Duo will also be able to charge two devices at the same time. We could see both Wireless Charger Duos unveiled on August 9th, the same day that Samsung will introduce the Samsung Galaxy Note 9 and possibly the Samsung Galaxy Watch. If the latter is included in the latest Unpacked event, it would make sense for Sammy to roll out the Wireless Charger Duos at the same time. Stay tuned. Hohoho, where are you AirPower? It almost a year and never came out.